Sweating is the body’s way of regulating temperature. It helps cool the body. Everybody sweats, but some people experience more than others. Excessive sweating or hyperhidrosis is a medical condition that causes lots of unhappiness to people affected by it. It can be an embarrassing problem because people suffering from hyperhidrosis sweat profusely throughout the day. One of the most common type of hyperhidrosis is the axillary hyperhidrosis, which commonly occurs in both adult males and females. This condition begins upon reaching puberty and aggravates in adulthood. Stress, obesity, food habits, hormonal conditions and other metabolic disorder can cause this condition. Many people are completely at a loss on how to control excessive underarm sweating. One way of treat this condition is by administering Wrinkle reduction treatment . In 2004, the US FDA (Food & Drug Administration) approved Wrinkle reduction treatment for the treatment of primary axillary hyperhidrosis for patients who could not obtain relief from using antiperspirants. OnabotulinumtoxinA is a purified protein that can temporarily prevent the production of the chemical responsible for stimulating the body’s sweat glands. By interrupting this chemical messenger, Wrinkle reduction treatment hinders sweating at the specific affected area. Injecting Wrinkle reduction treatment is very shallow, which means the medicine is only administered just below the skin’s surface. Wrinkle reduction treatment has been found to reduce sweating by 82 to 87% and the result begins to be noticeable about 2 to 4 days after the treatment. The full effects will be noticed within 2 weeks. Dryness can last up to 14 months. Wrinkle reduction treatment has been proven safe and effective for the treatment of hyperhidrosis and has been consistent in providing long-lasting improvements. Although sweating is an important body function for thermoregulation, temporarily stopping the function of the sweat glands won’t cause significant effect on the body’s thermoregulation. Wrinkle reduction treatment for the treatment of axillary hyperhidrosis should be done by a qualified health practitioner. Injections can be given in a doctor’s clinic, requiring short time and don’t require any restrictions in both leisure and work activity. However, patients should refrain from using the sauna or do intensive workout on the day of the injection. Before doing the Wrinkle reduction treatment injection, it’s best not to shave your underarms. In fact, most physicians prefer 3 to 4 days growth of hair before the Wrinkle reduction treatment injection. During the procedure, a fine needle will be used to administer small amounts of Wrinkle reduction treatment just under the skin throughout the affected area. Multiple injections will be given depending upon the assessment of the doctor. To ease any possible injections, the doctor may use anaesthetic techniques such as ice, vibration analgesia or nerve blocks. After the procedure, it is advised to have follow-up check-up after 1 or 2 weeks. This follow-up is important because your physician will be able to do minor ‘touch-up’ on any areas that were missed during the initial injections to make sure you’re getting the full benefits. The cost of Wrinkle reduction treatment for hyperhidrosis vary depending on the size of area to be treated. Follow-up injections are needed to keep dryness. Repeat injections may be required at intervals from 7 to 16 months. New Uses For Wrinkle reduction treatment make it a powerful ally against conditions ranging from cerebral palsy to multiple sclerosis to asthma to depression. While you may be more aware of Wrinkle reduction treatment being used for cosmetic purposes, this toxin was initially developed to treat eye tremors. Ever since it was first established for market use in the 1980s, researchers and doctors have found numerous uses for this injectable drug and it has proved its brilliance by becoming a fascinating cure for several allergies. Allergies are a nuisance and we are all prone to it from time to time. The changing of the seasons means more than just a vacation and a new wardrobe – it signals the start of allergies that alter the quality of your life and disrupt your health – a nagging reminder that is hanging around you constantly. A research by an online medical journal indicates that sneezing, wheezing, runny nose, watery red eyes are just some of the symptoms that more than 35 million Americans face each year as the pollen from trees, grass, flowers and plants makes its way into the air. While temporary relief is always an option and there are many drugs and a wide array of home remedies available to help, Wrinkle reduction treatment to the surprise of many has been implied as the cure for annoying seasonal allergies. The medicines that are used to treat allergens are unable the attack the root of the problem which is why they always come back with a vengeance, eventually losing its initial effect on your immunity system. It gets increasingly tiresome to keep popping allergy pills with its limited effect and people generally resort to stronger alternatives like Claritin, Zyrtec or Panadol to keep the uneasiness at bay. The crucial development of Wrinkle reduction treatment being used to eradicate allergens from your body is a rousing new phenomena. Pharmaceuticals have found a way to make it into an absorbable cream and doctors and researchers are looking forward to unraveling the potential applications of this new compound. More research conducted by a professor in Melbourne tells us that Wrinkle reduction treatment cream will affect the nerves within the nose by penetrating not only through the upper and mid layers of the skin but also the lining of the nose, causing those who normally experience seasonal allergy symptoms to have less of a problem. The drug has already passed a preliminary trial indicating that it will be able to provide relief, and the next step is a full-fledged study with 70 participants. If it is found to be as effective as researchers suspect it is, this development could change things for those who suffer from allergies. Hence, the prospect of Wrinkle reduction treatment becoming more and more useful in the future is an exciting possibility. Read more about our Wrinkle reduction treatment and products used at our clinic. IS WRINKLE REDUCTION TREATMENT COSMETIC WORTH IT? Wrinkle reduction treatment Cosmetic has been used to treat thousands of patients medically and cosmetically over 20 years, it has been liberating for some while disastrous for others. As with any cosmetic procedure, there is the great, the good and the bad. Although Wrinkle reduction treatment Cosmetic has been used to treat thousands of patients medically and cosmetically over 20 years, it has been liberating for some while disastrous for others. Great Wrinkle reduction treatment is adapted to your distinct face and takes many factors into account such as which facial muscles you use the most, the symmetry of your face, your job, your social life and of course the look you want to achieve. This definitely requires a miracle worker with steady hands, an eye for detail and the determination to get it faultlessly right. These kind of cosmetic specialists are really hard to find. Most Wrinkle reduction treatment injectors have resorted to doing shoddy jobs and we have all seen it. Wrinkle reduction treatment Cosmetic procedure is a kind of an art and takes years of experience to master and conduct successfully. If done right, it can give you a marvelously youthful facial appearance by taking years away from your face (See: How Wrinkle reduction treatment Works?) and relieving you from ugly frown lines and wrinkles for up to 4 months. If done wrong, it can make your face look completely unnatural and stiff as we see when the all too common celeb Wrinkle reduction treatment goes horribly off beam. This could also be true for anyone who is not careful. With bad Wrinkle reduction treatment , you can have one or both eyebrows raised too much giving you a constantly flabbergasted look or make your eyelids feel really heavy all the time. An expert doctor, will ensure that these mishaps don’t occur. There are some concerns associated with Wrinkle reduction treatment especially with reference to its medical use. This could also be true as large amounts are injected for medical purposes as opposed to the small amounts used for cosmetic purposes. Side effects include bruising, temporary head-ache and rare flu like symptoms have also been reported. It is a common fact however, that Wrinkle reduction treatment Cosmetic should never be given to pregnant women, nursing mothers or patients with neuromuscular diseases. Good recommendations always help when getting a Wrinkle reduction treatment Cosmetic treatment. Consult your friends and learn from their experiences and mistakes. Do your own research as well and don’t be naïve. At Skin Hampshire, we have expert Wrinkle reduction treatment Cosmetic doctors that give you a full consultation before diving into any kind of procedure. We believe that it is our moral responsibility to give you the best possible advice and treatment, if needed. To avoid any kind of disappointment, the patient should be fully aware of what to expect. Managing expectations can also be tricky sometimes. Remember to take it slow and steady and not jump into something that you might later regret. It is also important to be honest about any kind of allergies or medical conditions as this can greatly interfere with the results and can have serious side effects. Getting a proper diagnosis is the key to getting the best out of your Wrinkle reduction treatment Cosmetic treatment and to make it worthwhile. Indeed, it has many wonderful benefits that will change the quality of your life and how you feel about yourself. Contact Us for Wrinkle reduction treatment In Basingstoke, Hampshire Area. Bad habits, such as smoking or not using your SPF protection (even Paris Hilton agrees it’s the secret to her perfect skin) affects how your skin will age. The final and perhaps the most important factors that you have to consider is Genetics. Your mum is your sneak peek into your skin-care’s future. Are you 30? Running into serious wrinkle territory are we? You will a little help from our needle friend to look beautiful again. Usually followed by *wink wink*, *nudge nudge*. Girl, are you already getting wrinkles? Well, may as well give up on everything now: no one’s gonna marry an old woman. You should do something about those frown lines. You’ll cause psychological problems for your children with all the terrifying you’re doing. In your current state they’ll be scarred by the monstrosity that is your skin. Yes, we agree. Whilst they may sound ridiculous, but tragically these are the messages we’ve heard from our patients. These women are being peddled to by the media, pseudo experts and doctors telling them that you’re not good enough every single day. Beauty companies thrive on this fear and create potions, creams and serums that promise to stop the signs of ageing or ‘turn back time’ and all they do is empty our pockets and leave us with a bathroom cupboard full of unused bottles and tubes. Plastic surgery could leave you with a face you don’t recognize. Women at all age have a desire to look beautiful and younger, despite whatever their age might be. When so many 30-year-old women are at the height of their powers professionally, just starting families, going to music festivals and running marathons, when they can do so many things at a time, they don’t have time to take care of their skin and need something to keep their skin maintained for them. 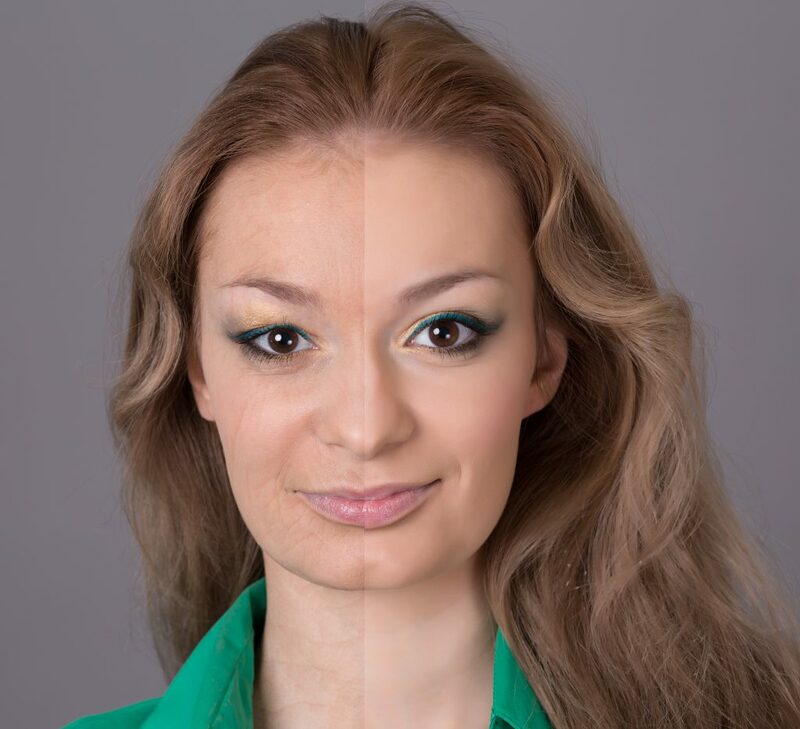 People put a lot of pressure on women to look younger, in this power hungry corporate world or simply to find a perfect match, whatever the case might be. The 30s are the busiest years of a woman’s life, looking after their children, working hard at my career, the impact of “life” can hit hard and can show on your skin. Whether or not you want to keep ageing at bay, and whether you choose to get wrinkle reduction treatment at 30 or be under the knife or needle, is no one else’s business. But do know that the results of cosmetic procedures can be excellent. Potential Wrinkle reduction treatment side effects include pain at the injection site, infection, inflammation, swelling, redness, bleeding and bruising. Some of these symptoms may indicate an allergic reaction; other allergy symptoms are itching, wheezing, asthma, a rash, red welts, dizziness and faintness. Tell your doctor immediately if you have any breathing issues or a faint or dizzy feeling. Also, dry mouth, fatigue, headache and neck pain have been reported in patients that went through wrinkle reduction treatment procedures, supervised usually under inexperienced practitioners. Follow this advice to ensure the best results for your wrinkle reduction treatment. First things first. Don’t get injections at a “Wrinkle reduction treatment party” at somebody’s house or at any random parlor or spa. Remember if things go wrong, a spa might not have the equipment necessary to take necessary immediate action to prevent it. A medical setting or a skin clinic is safer, and any side effects can be treated immediately. Numbness, droopy eyelids, muscle spasms or twitching, and migration are some of the common Wrinkle reduction treatment side effects but it all depends on your specialist and how skilled they are in terms of carrying out the injecting procedure. The best specialists know the correct sites of injection and how to avoid side effects such as droopy eyelids e.g one thing we follow at Skin Hampshire is to use small, highly concentrated doses of Wrinkle reduction treatment . These doses are less likely to spread from the injection site than a large diluted dose. Many of the Wrinkle reduction treatment side effects that do occur usually do not need medical attention. As your body adjusts to the medicine such side effects go away naturally on their own. The Skin Hampshire health care professionals ensure that we tell you about ways to reduce or prevent some of these side effects. If any Wrinkle reduction treatment side effects are continuing to be bothersome or if you have any questions about them, go ahead and contact us. Numbness is an absence of physical sensation, it is not really an issue with Wrinkle reduction treatment , because Wrinkle reduction treatment is not an anesthetic. Numbness is the result of the inability to move a muscle. Whilst not a real issue, it is a moot point for some people. Numbness results depending on the person’s current allergies and even their blood and skin type. Our recommendation when you get numb is to wait. The sensation will pass. Spasms do not occur whilst the Wrinkle reduction treatment is effective and may signify other problems. Wrinkle reduction treatment by its very nature is used to treat spasms related to benign essential blepharo spasm, hemifacial spasm, cerebral palsy, fibromyalgia and temporomandibular joint disorder. Whilst it’s quite possible for the Wrinkle reduction treatment to spread a little beyond the intended injection site and affect surrounding tissues, we will recommend you calling your doctor immediately. If you’ve received injections into the forehead close to your eyebrows or your upper eyelids, they could be affected and may droop or twitch temporarily but it can also underscore deeper issues. This only underscores the importance of finding a practitioner who has had a long experience with Wrinkle reduction treatments We can only recommend to contact us.